Aim Protective irrigation for all agricultural farms in the country, and to produce ‘per drop more crop’, thus bringing much desired rural prosperity. PMKSY was started in 1st July, 2015 with the motto of ‘Har Khet Ko Paani’ with an outlay of Rs.50,000 crores for a period of 5 years (2015-16 to 2019-20) for providing end-to-end solutions in irrigation supply chain, viz. water sources, distribution network and farm level applications. 1. To adopt and encourage use of drip and sprinkler irrigation system. 2. Development of small water sources. With the mission of PER DROP MORE CROP, the present Government has allocated more funds to PMKSY so that more area can be covered under irrigation. 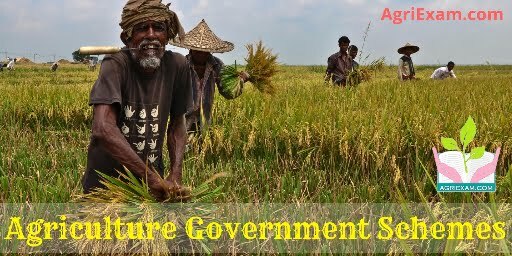 The Government of India has initial Corpus of Rs.5,000 crore for setting up of a dedicated “Micro Irrigation Fund” (MIF) with NABARD under Pradhan Mantri Krishi Sinchayee Yojana (PMKSY). PMKSY scheme is being implemented in the mission mode with the help of command area development in order to complete 99 large and medium irrigation projects with capacity of 76.03 lakh hectare by December, 2019. For this work, a Special Irrigation Fund of Rs. 40,000 crore has been created under NABARD. It is worth mentioning here that the work of 18 schemes has been completed till March 2018. in addition, more than 80% work of 47 schemes has been completed. In the budget of 2018, under the ‘Har Khet ko Pani’ a component of Pradhan Mantri Krishi Sinchai Yojana (PMKSY) scheme, the ground water irrigation scheme will be implemented in 96 districts, where less than 30% land is currently getting an assured irrigation facility. For this purpose Rs. 2600 crores have been allocated. District Irrigation Plans (DIPs) are the cornerstone for integrated planning and implementation of PMKSY. District irrigation plans (DIP) for all 675 districts have been prepared which covers almost all the agricultural dominated districts of the country.